Income from house property includes income earned by an individual through the property owned by him. The property would comprise a house, an office building, godown, factory, shop, auditorium, etc. Income from house property is taxable in the hands of owner/deemed owner of the property. 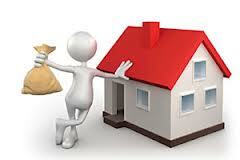 Owner is a person who is entitled to receive income from property in his own right. ‘Income from house property’ is defined by section 22 of the Income Tax Act and the computation of income falling under this head is governed by sections 23 to 27. How Income of house property is calculated? The above calculation is done for a let out property i.e given on rent. Even if your property is not let out property, you still need to calculate the notional market rent . The interest paid on the loan is exempt under Section 24. For self-occupied property (SOP), rental income will be taken as ‘nil’ in the above calculation. The rental income is zero in self occupied property as it doesn’t earn any rent. Accordingly, you cannot subtract municipal taxes nor can you deduct any standard deduction. This loss from SOP can be adjusted against your income from other sources such as salary, capital gains, business, etc and hence reduce your overall tax liability. Where a housing property has been acquired / constructed / repaired / renewed with borrowed capital, the amount of interest payable yearly on such capital is allowed as deduction under Section 24 of Income Tax Act, subject to the limits stated below. Penal interest on housing loan is not eligible for deduction. If a fresh loan has been raised to repay the original loan and the new loan has been used only for the purpose of repaying the original loan then, the interest accrued on such fresh loan is allowed for deduction. 1. If the property is acquired or constructed with the capital borrowed on or after 01-04-1999 and such acquisition or construction is completed within 3 years of the end of the financial year in which capital was borrowed then the actual interest payable is allowed as deduction subject to a maximum Rs. 1,50,000/-. 2. In other case interest up to maximum Rs.30,000/- is deductible. 3. The ceiling of Rs.1,50,000/- or Rs. 30,000/- is only in case the property is self occupied. There is no limit on deduction of interest if the property is let out. Thanks Sharon for stopping by and appreciation.